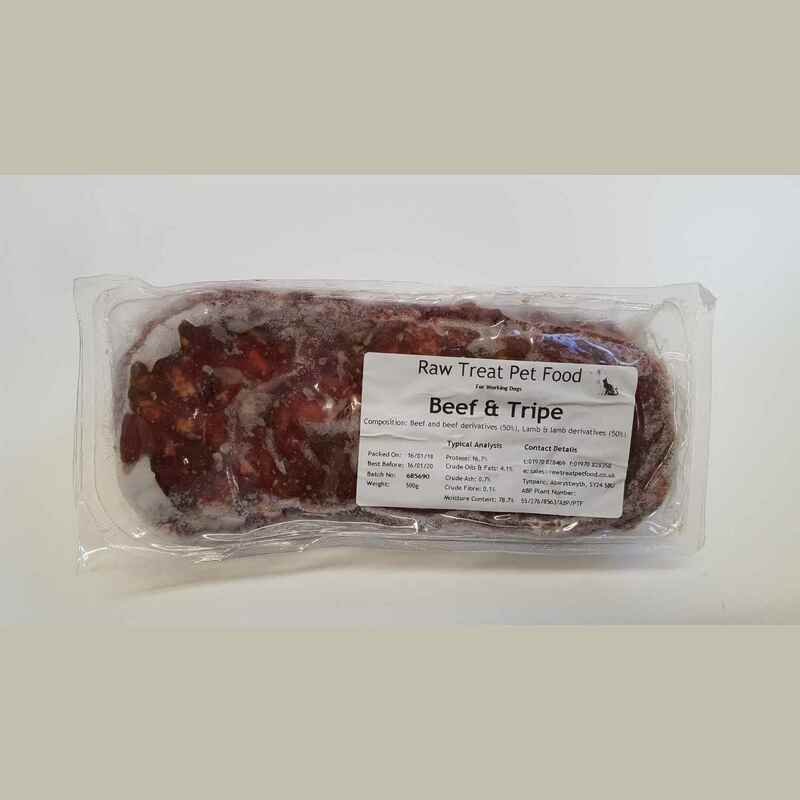 Raw Treat Frozen Minced Beef and Tripe This 80/10/10 mix contains meat, bone and offal in the correct ratio to provide your pet with a balanced, nutritious meal. Frozen feeds can be combined with vegetables or supplements to create a complete balanced and varied diet. Supplied in handy 500g packs for easy portion control. PLEASE NOTE Due to parcel restrictions frozen products can only be dispatched to customers within our local service area (Approximately 75 radius of Carlisle) using our own vans.